The White Flag is a layered cocktail. 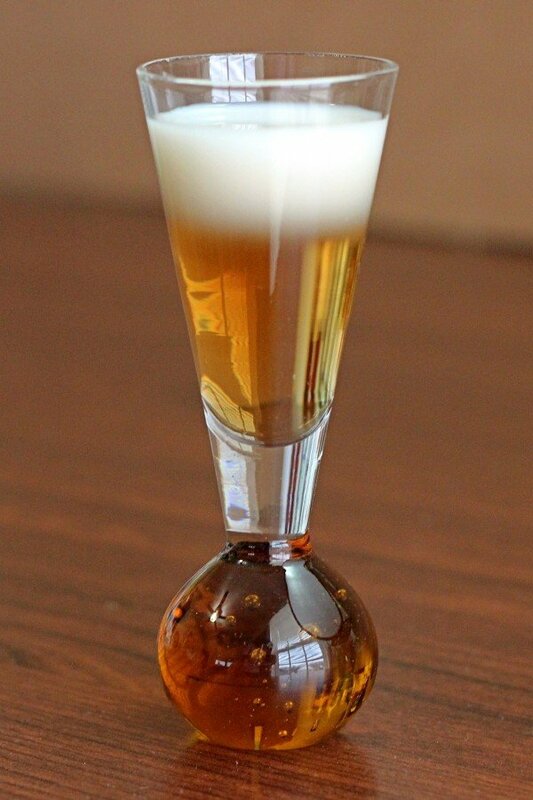 Unlike a lot of layered cocktails, such as the B52, this one just uses two liqueurs, which makes it much less intimidating to pour. In fact, you can almost accidentally layer a White Flag without even meaning to. In a lot of cocktail recipes that call for Baileys, I use Carolan’s instead, but when it comes to layered drinks, the two liqueurs do not have the same specific gravity. Carolan’s is a bit heavier, and won’t always float on top the way you expect. Therefore, I’m leaving this one as is and calling for Baileys. You can use any brand you like, but be prepared for surprises with the layering. 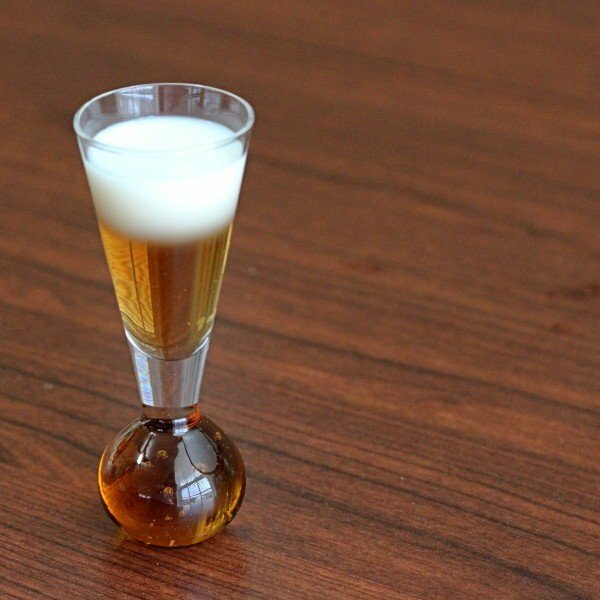 If you’re wondering where to get this shot glass, they apparently aren’t being made anymore. But you can still get them on Ebay. Or get these very similar but flatter-bottomed ones on Amazon. Pour in the Frangelico. You may be able to float the Baileys by simply pouring it in slowly and gently, especially if you have a pour spout on your bottle. Check out our complete guide to floating layered cocktails, with instructions, pictures and a video showing you exactly how to do it. It’s easy – it takes a little practice, especially when you’ve got three layers, but if I can manage it, anybody can. Seriously. I’m not that coordinated.